I just wanted to say that I’m really happy with Tim’s repair on my turbo. Very nice guy to work with and absolutely knows his stuff. I’ve learned to not trust people with my vehicles and their parts, but Tim relieved any hesitation I had once I spoke with him. I’d definitely very highly recommend him to any of my friends. Great price too, especially considering this was a manufacturer he doesn’t typically deal with. Thanks again Tim, I appreciate everything! This guy/guys are simply the best! Took time to answer lots of silly questions I had, helped me put together a setup that would work best for my build. I simply can’t thank them enough for the help, their over the top customer service, and the unmatched quality of their products! I will be recommending their services to everyone! Got my IHI vf52 rebuilt by Tim, he did a fantastic job with the rebuild and took his time to explain the things that could have caused the failure to help make sure it didn’t happen again. The turbo is now back on the engine along with the Forced Performance oil supply kit that Tim ordered for me, I have about 600 miles on it so far and it is performing flawlessly. 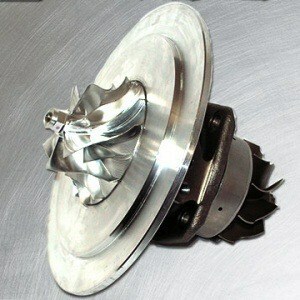 Tim really knows his stuff, I highly recommend Tim’s Turbos for any turbo work you need! Great customer service, fast shipping. I don’t know what else to say. They have exceeded my expectations. Good customer service. Fast turnaround time keeps you updated on progress! Thanks great guy!